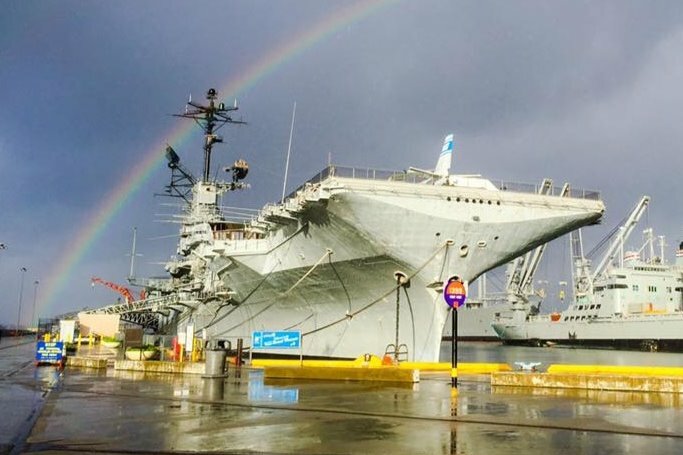 Tune in for the latest capital improvement project on the USS Hornet Sea, Air & Space Museum and help us broadcast our educational and historic value from sea to shining sea! We're raising money in support of a Radio Division capital improvement project that will benefit Aircraft Carrier Hornet Foundation’s (doing business as USS Hornet Sea, Air & Space Museum) worldwide radio communications efforts. Your tax-deductible donation will help us with our radio antenna restoration project. Thanks in advance for your consideration and contribution for this project! The all-volunteer Radio Division on the USS Hornet endeavors to restore three of the Hornet's original high-frequency communication antennas that have been damaged or deteriorated beyond acceptable limits. 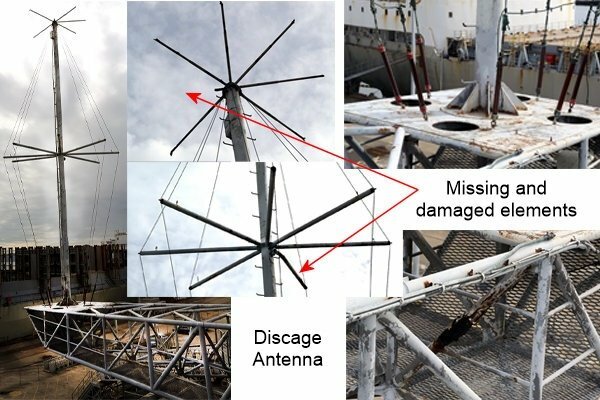 The condition of these antennas has suffered over the years and is a concern for the following reasons (in order of importance): safety, aesthetics, and function. Safety is a factor due to future possible mounting hardware or antenna element failure, causing danger to people and objects below the antennas. Aesthetics are affected by inappropriate mounting and broken or missing elements. This detracts from the accurate historical look not only for visitors (temporary), but on images as well (permanent). The functionality of these antennas can be restored as well, expanding capabilities for world-wide two-way communications by the Hornet Amateur Radio Club (HARC). HARC's mission is to promote the Hornet Museum by making thousands of contacts each year with amateur radio operators around the world. 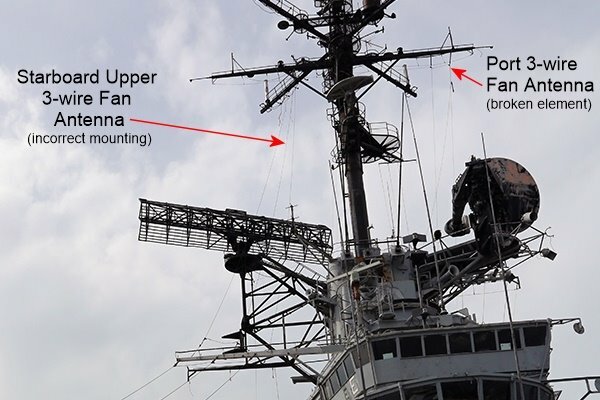 The antennas selected for this project include the starboard upper three-wire fan, the discage, and the port three-wire fan. The starboard fan needs mounting hardware repair and placement, including welding on new eyelets, corrosion control and painting of the upper yardarm. The discage needs top loading elements and an insulated mount replaced, spreader bar repair, correct wire element mounting, corrosion control and painting. The port fan needs one wire element replaced that was accidentally broken during preparations for an event several years ago. Several of the antennas also need new feedline. Our plan is to raise the $14,000 budgeted expense in April and complete this restoration project before our July SPLASHDOWN 50 event, celebrating the 50th anniversary of the Hornet’s recovery of APOLLO 11 and the first men to walk on the moon. Due to the size and height of these antennas, a large articulating boom lift will need to be rented to facilitate repairs. This requirement constitutes the largest portion of costs. Please contact Jerry Inman if you have questions about the project or thoughts on how you might help. Please note that capital contributions are not considered unrestricted gifts nor credited towards your annual membership. Thanks again for your time and consideration!